This page contains various small demo programs written for our PDP11 CPU boards. This will normally be used before loading/running "Out of the Box" Digital OS Software etc. If you wish to test/demonstrate this, you can load this small program (REMOVE.ROM) into RAM at 100H and run it. 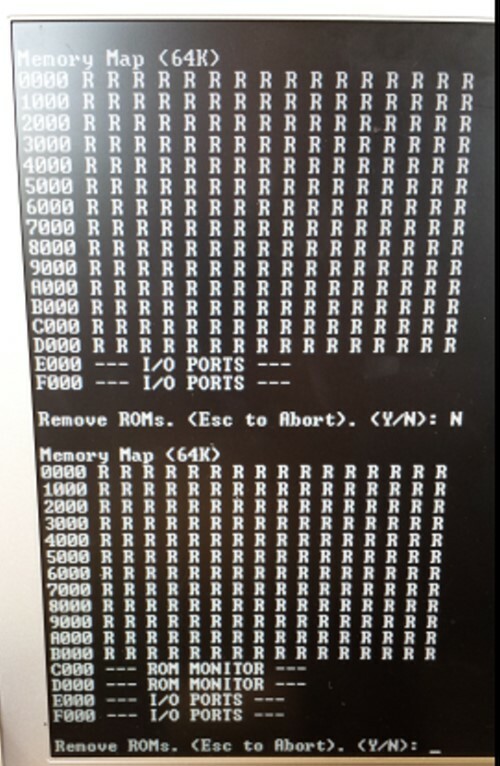 You need to assemble a version of the REMOVE_ROM program at say, 100H in RAM, load the .bin file (from your PC) the via the Monitor XMODEM "C" command and then Jump to 100H in RAM. The Program will signon as shown below. Note, do not remove the ROM's from a menu command within the ROMs themselves. This is a small program to test the U58 UART on the PDP11 Support board. 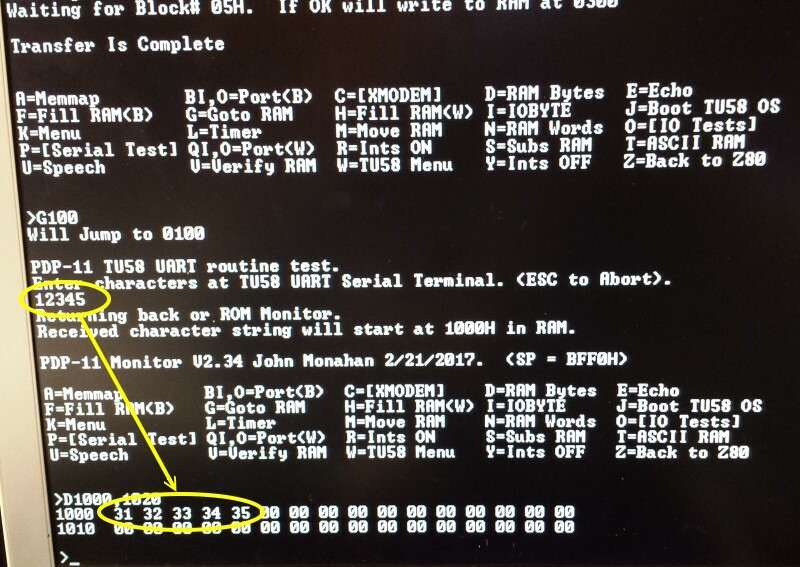 In order to utilize this UART for loading the TU58 Tape drive data we need to be sure it is working correctly and can sequentially place recieved bytes correctly in RAM. It not only checks the UART status bit but checks we have the S100 bus HIGH/LOW buffers working/programmed correctly in the Support Board CPLD. Note how the ASCII "1" character is at 1000H (not 1001H). The links below will contain the most recent versions of the above software.